HUNTSVILLE, Ala. — Gone are the equipment caches known as "activity sets" stored in Europe and South Korea for deploying units to fall in on for exercises and other operations. The focus now is how well the U.S. Army can deploy units along with all of its equipment from the continental U.S. to other theaters, rendering activity sets moot, Gen. Gus Perna, Army Materiel Command commander told Defense News in an interview at the Association of the U.S. Army's Global Force Symposium on Monday. 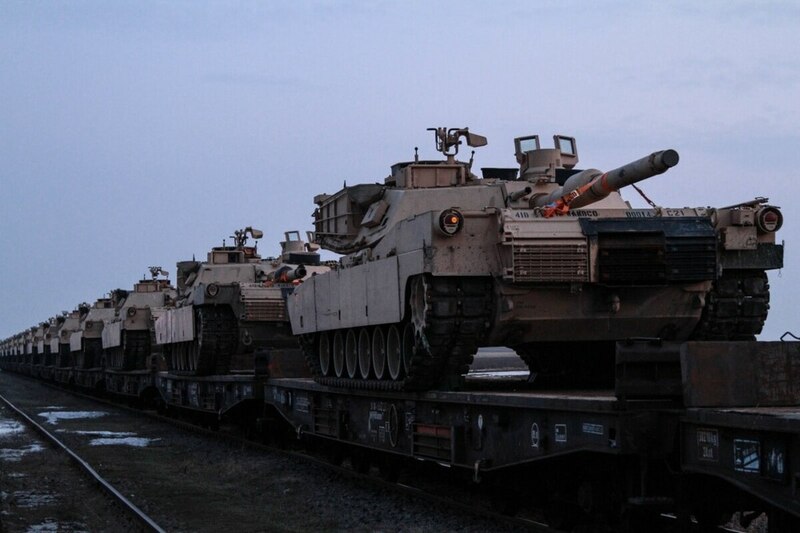 The Army's most recent example is the new armored brigade combat team that is deploying on a heel-to-toe rotation in Europe, along with all of its equipment. When the unit rotates back into the states, it will bring everything back. The activity sets were only intended to serve as a bridging strategy in Europe and South Korea as operations ramped up in recent years in both regions. They allowed soldiers to deploy from CONUS to a combatant command area of operations and draw the equipment out of storage there and train on it. But that resulted in somewhat of a "rent-a-car" approach and didn’t allow for units to train on how to deploy equipment vital to a CONUS-based Army, according to Perna. "What we found was soldiers are learning skills to deploy, load equipment on trains, bring down to ships, learn how to offload, it’s a great skill for soldiers to have," Perna said. "Until the president changes his thought process about where they want their Army, we have to make everything an away game, which means we have to be good at deploying," he added. And while deploying units with all of their equipment is more expensive, "the skills they are getting now far outweigh the cost," Perna said. The Army’s pre-positioned stocks — known as APS — which are set up in each combatant command to be used in a contingency operation for rapid response will remain. The Army’s APS capability is in place in the right places, Perna said, and the equipment is ready maintenance-wise. Now the Army is moving forward to provide "additive capability" ready to go straight into the fight. "That is the next step," he added. Perna is also looking at making sure equipment is resident in the right places with the right units across all three components of the Army — the active force, the National Guard and the Reserves. "We do have quite a bit of equipment on hand," he said. "In fact, we have 980,000 pieces of equipment … that are the right equipment but in the wrong place. We have to execute 980,000 lateral transfers across the Army’s three compos to ensure forces are ready." He added the Army is also working to divest roughly 1.3 million pieces of excess equipment in the next five years. As Perna manages the distribution of equipment worldwide, he said he was worried about the Army’s ability to execute a "decisive action fight" against a near-peer competitor. "It’s not because we don’t have great leaders and soldiers that have been trained in the last 15 years, who have demonstrated courage and initiative and have led from the front," he said during a speech Monday at AUSA Global. "It’s because the skills we need, in particular for sustainment, have atrophied." Because of the rapid fielding of an enormous amount of equipment during the wars in Iraq and Afghanistan, the Army’s ability to sustain equipment without the help of contractors have weakened, service leaders have long noted. The Army is fully engaged in improving sustainment processes through effective training plans, Perna said. The service should strike a balance, however, in terms of using soldier maintainers versus contractor maintainers in theater. "I believe it should be scalable," Perna said. "In a decisive action," like early operations in Iraq, he said, "there was no place for contractors or civilians to be on the battlefield. It was the soldiers’ responsibility. But as the theater matured, as we controlled more area and we controlled more lines of communication, then we could facilitate the introduction of civilians and contractors on the battlefield." Going forward the tempo of the operations should dictate whether it’s appropriate for soldiers or contractors to do the maintenance and anyone doing the maintenance should be prepared at the highest levels, according to Perna.